Yes, Virginia, there is “fun” in Economic “Fun”damentals, especially if the topic is taught by such lively and enthusiastic econ meisters as Jennifer Taunton from Economics Arkansas, Kris Bertelsen, Little Rock Branch-Federal Reserve Bank of St. Louis, and Dr. Jennifer Logan, Southern Arkansas University. 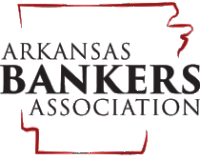 Monday, February 18, 2013, and Tuesday, February 19, 2013, 8:30 am - 3:30 pm each day at the Federal Reserve Bank, Little Rock Branch, Stephens Building, 111 Center St., Suite 1000, Little Rock. Registration is FREE, but must be made in advance here.